In February 2012, the General Assembly initiated an ‘intergovernmental’ review process aimed at strengthening the UN human rights Treaty Body system. This state-led process concluded on 9th April 2014, with the General Assembly’s adoption of resolution 68/268 on ‘strengthening and enhancing the effective functioning of the human rights treaty body system’. If correctly implemented by all relevant stakeholders, this resolution has the potential to bring profound positive changes to the Treaty Body system. 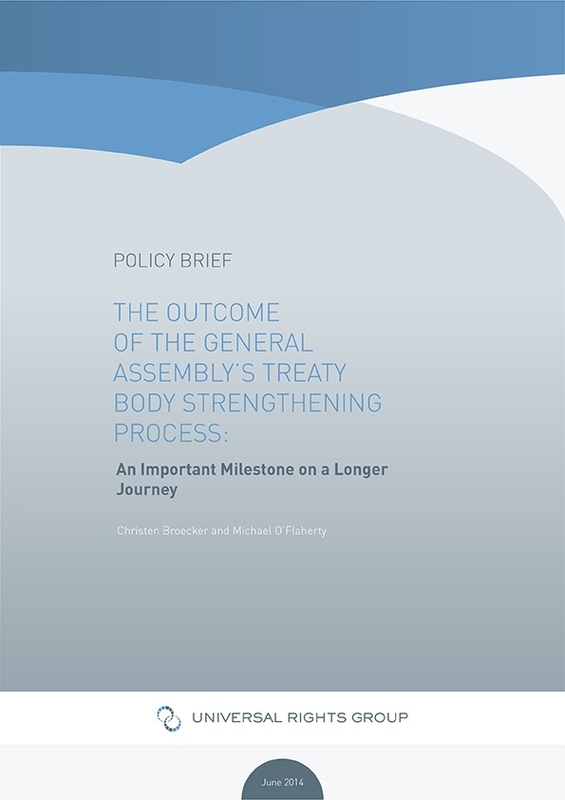 The URG’s Policy Brief on Treaty Body reform, by Christen Broecker of the Jacob Blaustein Institute for the Advancement of Human Rights and Professor Michael O’Flaherty of the Irish Centre for Human Rights, and vice-chair of the URG Board of Trustees), analyses the outcome of this intergovernmental process, offers thoughts on the implications of resolution 68/268 for states, Treaty Body members, OHCHR and civil society, and addresses the question: what next?